In today’s market, keeping business practices up to date is necessary for long-term survival. New cash management practices can save you time and money. It’s time to update your cash management practices. If you want to succeed in today’s evolving market, it’s imperative that you continue to update your business practices. 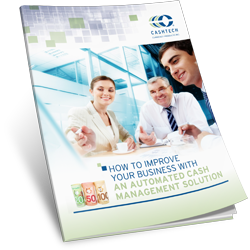 Fill out the form on the right and download your copy of “How to Improve Your Business With an Automated Cash Management Solution” and find out how to automate your cash management solution and grow your business today.